Corruption costs taxpayers in Malta €725 million every year – more than the entire amount spent on education, a study published on Friday by the European Greens has estimated. The study estimated that €904 billion are lost annually to corruption across the EU. Malta’s corruption cost is estimated at 8.65 per cent of GDP. The EU-wide study says that corruption and its costs are often hard to grasp for the ordinary citizen, who still suffers the consequences of a lack of investment in essential public services, an unfair business environment and an abusive and reckless elite. The study therefore uses the most recent data and studies available to compare the cost of corruption to public investment in education, healthcare, housing, policing and the fire services. 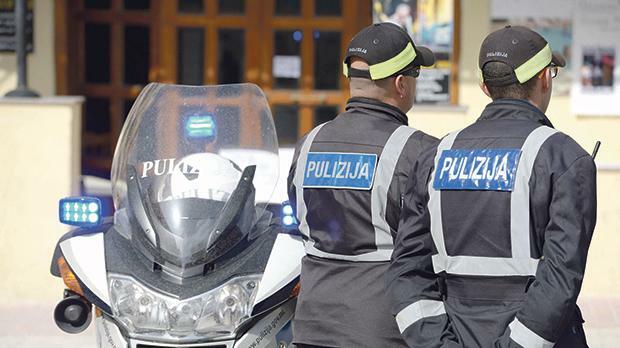 According to the study, the funds lost to corruption amount to more than 10 times the size of the annual police budget in Malta. It is over 45 times the entire housing budget, over seven times the national budget for family and children and nearly seven times the entire sickness and disability budget, the study found. Overall, an amount equivalent to about 65 per cent of the entire €1.1 billion social expenditure budget is completely lost due to corruption. Contextualising the cost on an individual level, the study says that every person would receive an extra €1,671 each year if the money lost were distributed among everyone in Malta. These estimates include the indirect effects of corruption, such as loss in tax revenues and declines in foreign investment. The €725 million annually lost to corruption in Malta are enough to give roughly 42,900 people in the country the average annual Maltese wage, which the study put at €16,924 in 2015. If beer is your favourite tipple, 631 litres of beer could be bought for each person in the country – an (un)healthy 1.7 litres of beer daily for everyone in Malta. 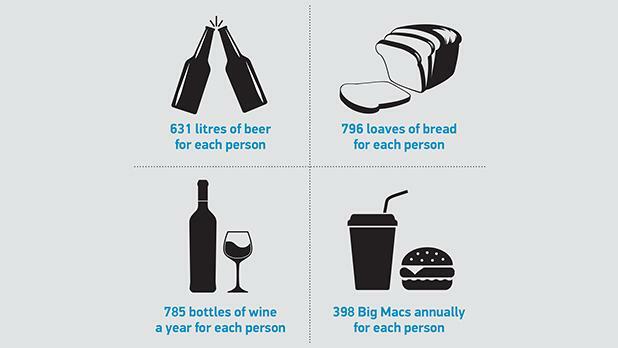 It could also be used to buy countless loaves of bread, bottles of wine and Big Macs (see box). The Greens/EFA group are calling on the European Commission to annually review anti-corruption practices in Member States, and for increased funding for anti-corruption activities. They are also calling for improvements in the EU’s anti-fraud body, the strengthening of the European Public Prosecutor’s Office, greater protection for whistleblowers, journalists and NGOs and stricter controls on how EU funds are allocated and spent. The money lost to corruption each year in Malta is equivalent to 10 times the annual police budget. Greens co-president Philippe Lamberts said corruption was Europe’s dirty secret. “From Viktor Orbán’s autocratic Hungary to organised crime and Maltese money laundering, a web of corruption spans across our continent. Inaction against these heinous crimes cannot be tolerated. “From ensuring EU funds do not end up in corrupt pockets, to strengthening the rule of law and ending money laundering, a lot more must be done in the fight against corruption from both Brussels and the national capitals,” Mr Lamberts said of the report’s findings. Fellow MEP Sven Giegold told The Sunday Times of Malta that while corruption was a truly European problem, only in Malta did officials stay in office despite strong, publicly available indications of corruption in several cases. The study also delved into the 2017 Eurostat findings on the perceptions about corruption in Malta. More than half – 54 per cent – of respondents said they believed the level of corruption had worsened in the preceding three years, while 23 per cent believed the level had remained the same. Only 11 per cent believed it had gone down. The Eurostat survey also found that 79 per cent believed corruption was widespread and 66 per cent believed it was part of the business culture of the country. Prime Minister Joseph Muscat, who campaigned in 2013 on a firm anti-corruption platform, is widely viewed as having turned a blind eye to corruption at the highest echelons of government. While still Opposition leader in 2009, he had described corruption as a tax that Maltese and Gozitan families had to make good for. His chief of staff Keith Schembri is implicated in three separate criminal inquiries looking into reports of corruption and money-laundering. Tourism Minister Konrad Mizzi is also facing a criminal investigation into his links with 17 Black, owned by Electrogas director Yorgen Fenech. This company was identified in a leaked e-mail as a potential source of up to $2 million that would be paid into Dr Mizzi’s and Mr Schembri’s Panama companies. And the election of Adrian Delia to head the PN raised doubts about the Nationalist Opposition’s will to continue the battle against corruption spearheaded by Simon Busuttil. The Sunday Times of Malta revealed last week that he is facing a criminal investigation over money-laundering allegations dating back to his time as a lawyer. The Democratic Party has called on both the PN and Labour to shoulder political responsibility for their respective corruption scandals. ■ More money lost to corruption than spent on education. ■ 10 times the police budget. ■ 90 times the amount spent on the fire service. ■ 45 times the entire housing budget. ■ Seven times the national budget for family and children. ■ Seven times the sickness and disability budget. ■ 65% of the entire social expenditure budget. €1,671 each year for each person if the money lost to corruption was distributed among everyone in Malta. Estimates on the cost of corruption are based on a study commissioned by the European Parliament and carried out by the Rand Corporation, an American think-tank. This 2016 study, titled ‘The Cost of Non-Europe in the area of Organised Crime and Corruption’, estimated the annual reduction in GDP due to corruption. The data collection methods used to produce this paper consisted of a review of relevant documents and literature and interviews with 17 stakeholders (including academic experts in the area of corruption and representatives of EU institutions and agencies). Additionally, a bespoke data set was compiled from a range of different sources and using a number of existing corruption indicators, in order to generate new estimates of the costs of corruption and the costs of non-Europe using econometric modelling.